Onegin is a musical about love; about the kind of worth dying for. With a party atmosphere, rousing songs, and a story of a love that could have been, this adaptation by Amiel Gladstone and Veda Hille is splendid. Originally published in 1832, Alexander Pushkin’s Eugene Onegin is a piece of classic Russian literature that has been adapted to stage and screen many times. The Arts Club production premiered in spring 2016 and won ten Jessie Richardson Theatre Awards while receiving wide critical acclaim. It’s wonderful to see the production tour Western Canada and reach an even wider audience. It’s late summer in St. Petersburg, and lyubov is in the air. 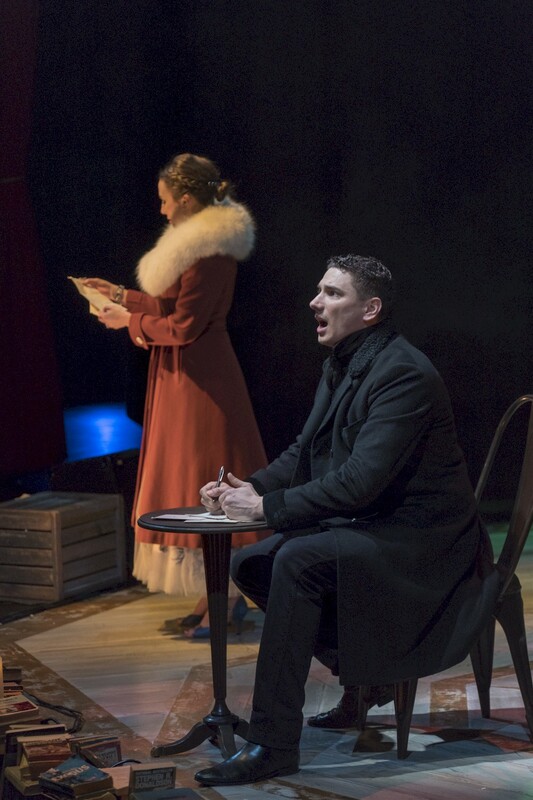 Onegin (Jonathan Winsby) travels to the Larin family estate and meets Tatyana Larin (Lauren Jackson) who becomes his love interest, and her sister Olga (Meaghan Chenosky) who is engaged to his best friend, Vladimir Lensky (Erik Fraser Gow). The trouble arises when Onegin flirts with Olga, and she doesn’t protest too much. Sitting somewhere between the land of the living and the dead, the world of Onegin seems removed from reality while teaching us an important lesson: sometimes you can’t go back and reclaim lost love. The onstage band, The Ungrateful Dead, provided brilliant accompaniment to the cast. Amidst all the melancholy and strife, there are many funny moments and hopeful, upbeat numbers that ensure the tone is not too dark. Onegin doesn’t make light of this classic tale, but it does allow some more light to break through to add welcomed humour and levity.